Leave the end of tenancy cleaning in our hands if you are looking for a reliable cleaning company within the borders of Manor Park. 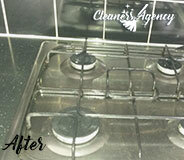 We will make your rented property spotless clean after your usage and ready for the next tenants. Our cleaning team will give you astonishing results, because all of the cleaners in it are well-qualified and have the experience needed which will help them meet your expectations to the fullest. We will be ready to solve your cleaning problem anytime, due to the fact that we are available 7 days a week and we are flexible with dates and working hours. This gives us the opportunity to serve our customers on their convenience. We cover the entire region of Manor Park and your location will not be a problem for us. We assure you that your rental will be cleaned according to the highest standards not only because you will be served by the best cleaning company in Manor Park, but also because we invest in the most reliable equipment. The detergents that will be used are environmentally friendly and this makes them absolutely harmless for the health. It is important for us to know the requirements that you or your landlord will have. In this way we will be sure that we will make you 100% satisfied with the job done. Our specialists will clean even the most stubborn dirt, because there is nothing impossible for us when it refers to cleaning. If after all we didn’t manage to meet your landlord’s expectations, we will be ready to visit you again and to re-clean the specific area. This is an option, which you can take advantage of up to 4 days after the first cleaning and it will be free of charge for you. If you choose to use our services, you will solve your cleaning problem and you will also have the guarantee that your landlord will give you the deposit back without any problem. We will be glad if you decide to rely on our company, because our aim is to help you in every possible way. Book our services now and be ready to impress your landlord with impeccable results. Please, pass my best wished to the housekeepers who did the miracle on my rented place. Every bit of the property looks amazing and I do not want to vacate it anymore. It looks so pristine and cosy right now! I will definitely book you to clean my new home. Sick and tired of washing dishes, doing laundry and cleaning your home all by yourself? Why not call us and book our professional cleaning services then? We will clean your property professionally and we’ll pay special attention to every detail, too. Rely on our professional cleaning services for all kinds of cleaning services. We offer a comprehensive list of professional cleaning services which can be performed in your home or workplace. If you have any questions concerning our cleaning company, the methods and products we use, or if you simply want to familiarize yourself with our cleaning services, contact our friendly customer support team either by phone or email and they will thoroughly answer all of your questions. Rely on us at Cleaners Agency London because we understand the importance of keeping clean and we’ll pay special attention to your property. Rely on our cleaning services and we’ll make your property shine. 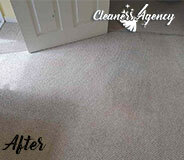 Our Manor Park based company offers professional end of tenancy cleaning services at reasonable rates. 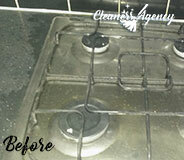 Ever since our establishment we have been helping tenants and landlords with the cleaning of the rented properties. We collaborate with diligent and skilled cleaners who are aware of the requirements of leading real estate agencies. With us, the desired level of cleanliness is fully guaranteed. 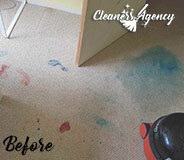 To put your mind at ease, we will make every endeavour to leave the property absolutely spotless. For your convenience, we bring our own cleaning products which are included in the cleaning package. Do not hesitate to give us a call right away.